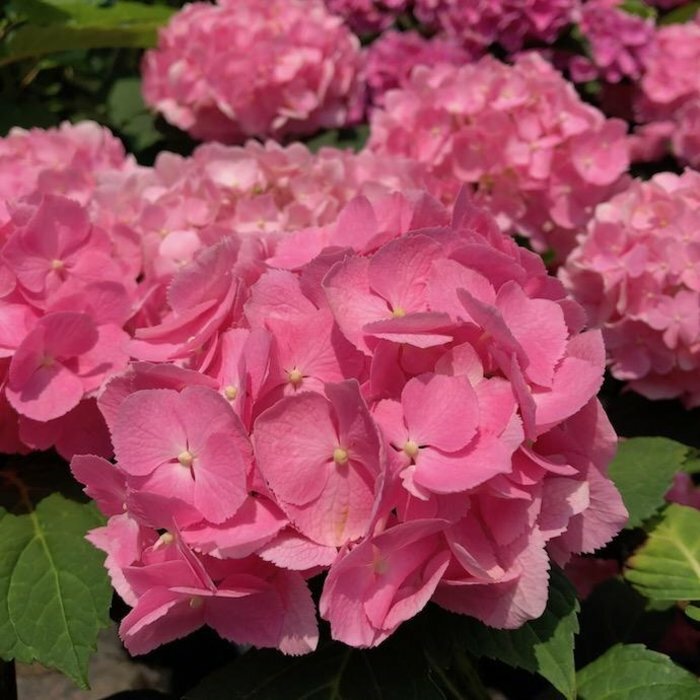 Scientific Name: Hydrangea macrophylla ‘Let’s Dance Big Easy’ Common Name: Bigleaf Hydrangea (Mophead) Garden Size: 2-3 ft. x 2-3 ft. USDA Zone: 5 to 9 Native Range: Japan Exposure: Part Shade Water & Soil: Average, Medium Moisture; Rich, Well-drained Soil Habit (Form): Rounded, Freely Branching Foliage: Deciduous, Large Serrated Dark Green Leaves Bloom Time: Blooms on Old Wood (June/July) and New Wood (August/September) Bloom Color: Pink to Lavender (See Additional Information) Uses: Mass or Group in Shrub Border, Accent for Foundation Plantings, Good Cut Flowers Care: Generally need little pruning. If needed, prune immediately after flowering by cutting back flowering stems to a pair of healthy buds. Prune out broken or winter-damaged stems in late winter. Additional Information: Soil pH affects the bloom color of most Hydrangea macrophylla cultivars except white (Blue in highly acidic soils and lilac to pink in slightly acidic to alkaline soils). Add aluminum sulfate to the soil to make the flowers bluer or add lime to the soil to make the flowers pinker. Add in late autumn or early spring.